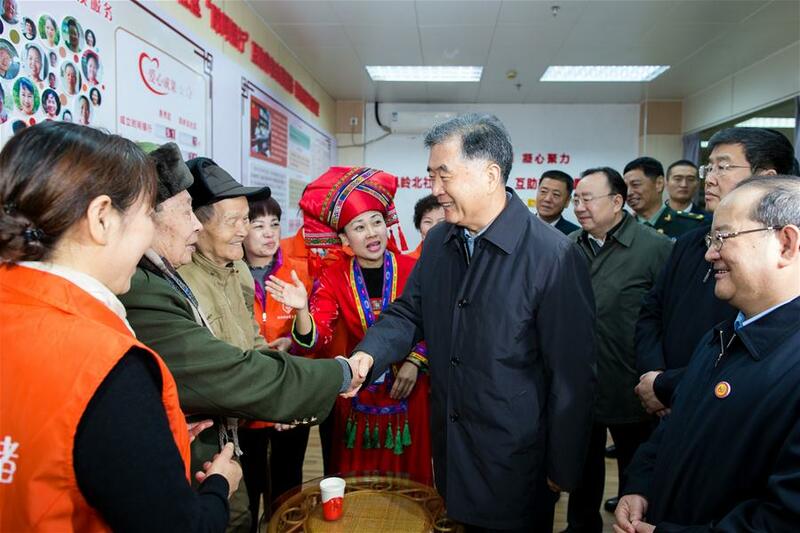 NANNING, Dec. 11 (Xinhua) — China’s top political advisor Wang Yang on Tuesday visited local people in the city of Nanning, south China’s Guangxi Zhuang Autonomous Region, which is marking its 60th anniversary. Wang, a member of the Standing Committee of the Political Bureau of the Communist Party of China Central Committee and chairman of the National Committee of the Chinese People’s Political Consultative Conference, led a division of a central delegation to conduct the visit. When addressing a symposium with local cadres and people, Wang said Nanning’s significant progress is a microcosm of Guangxi’s remarkable achievements during the past 60 years, attributing the progress to the Party’s policies concerning ethnic groups, as well as the joint efforts of different ethnic groups.